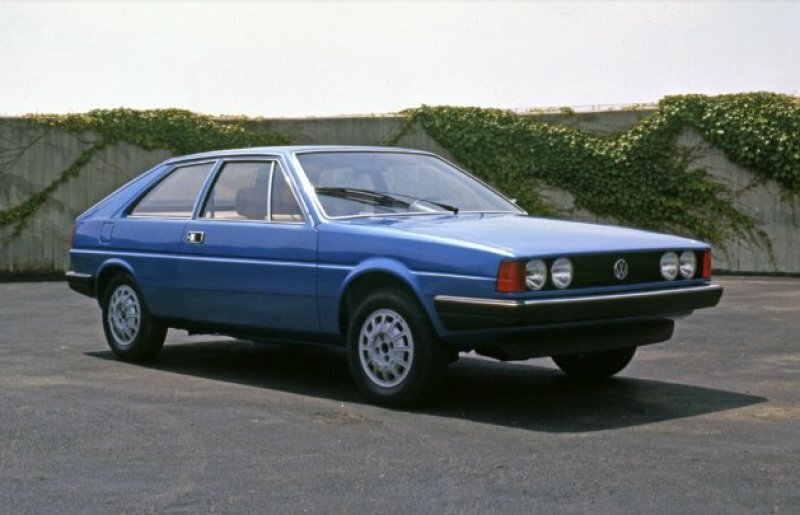 In 1977, two design studies were built as possible replacements for the Mk1 Scirocco. Both were again to be based on the Mk1 Golf. The first of the mock ups was constructed almost entirely from wood. The side window styling differed on the right and left side of the car to give two styling options in one project. This saves from having to build a second expensive mock up. The left side window styling is reminiscent of an Audi coupe. Note the lack of a quarter light on the door. The right side windows are more in keeping with the Mk1 Scirocco. The rear side window is extended giving a Brazilian Gol Mk1 appearance. Detailed view of the differing C-pillar styling. 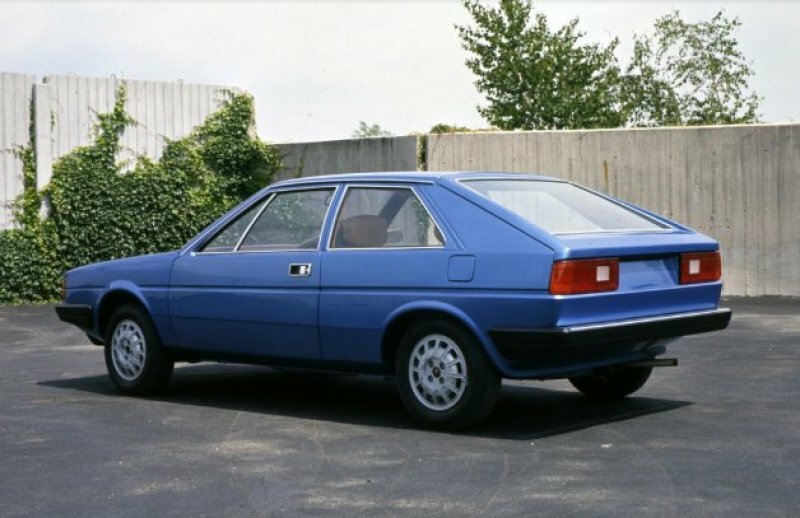 The second design was by none other than Giugiaro himself. 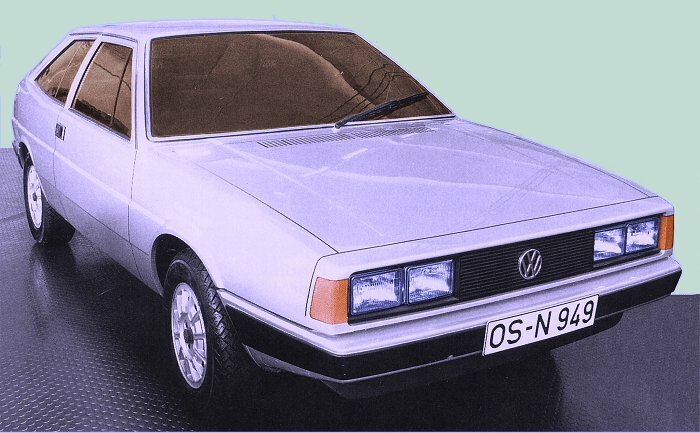 The design was too similar to the original Scirocco, so could not be used. Both vehicles now reside in the Karmann museum in Osnabrück. VW launched the Iroc concept car on August 24th 2006. 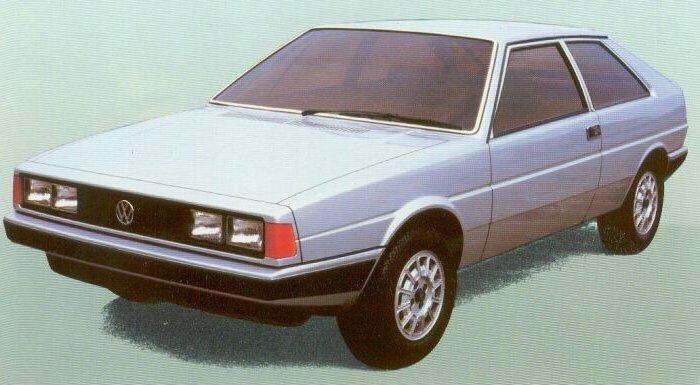 Utilizing the Eos chassis and modern VW engines, it was a working prototype of the New Scirocco. In production form, the Iroc lost its oversized grill and full length glass roof but overall remained true to concept. 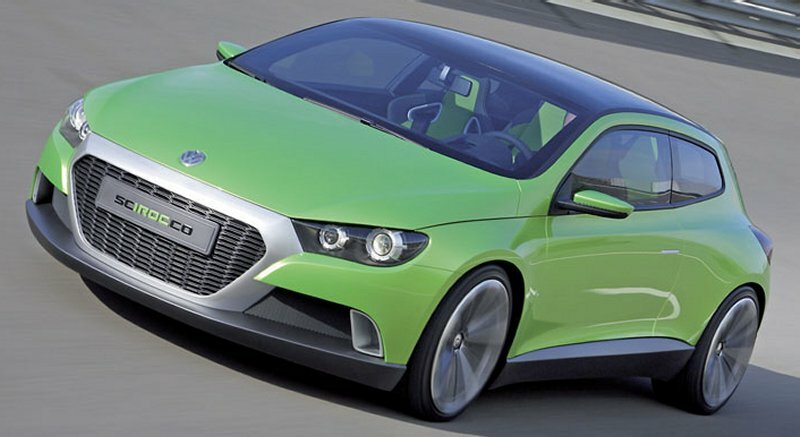 Internally, the Iroc took a few styling cues from the original Scirocco. Notably the deep recessed gauges and the three spoke steering wheel. Very little made it to the production stage.